DETROIT -- Fiat Chrysler will keep the Dodge Grand Caravan around a little longer than planned as it continues to ramp up sales of the old minivan's more expensive new line mate, the Chrysler Pacifica. 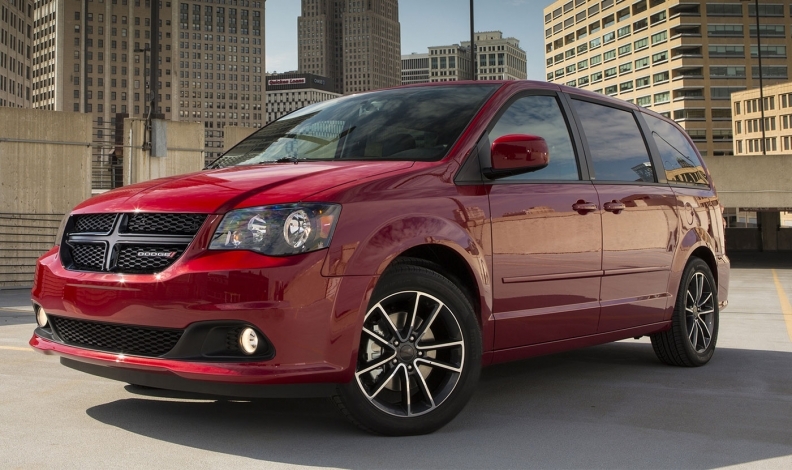 At the Detroit auto show last week, FCA CEO Sergio Marchionne said production of the Grand Caravan probably would not end this year. It had been scheduled for phaseout Aug. 11, supplier sources say. The automaker sold 51,513 units of the Caravan in Canada in 2016, up about 10 per cent over the 46,729 it sold in 2015. Meanwhile, U.S. sales of the cheaper minivan were up 26 per cent in 2016, even as the automaker sold down the former Chrysler Town & Country and rolled out its replacement, the redesigned Pacifica. Though technologically inferior to the Pacifica, the 2017 Dodge minivan starts with a pre-tax price in Canada of $24,145, vs. $38,790 for the base 2017 Pacifica. The MSRPs don't include the destination charges. "When we shut production of the Grand Caravan is not clear to us yet. But I agree ... that we need to look at the [price] range, and to offer some level of affordable access to the Pacifica at the lower end to try and replace the outgoing models," Marchionne said. "I keep on reminding everybody here that we had the most accessible minivan in the world in the Grand Caravan, and that's a position that we may end up losing. But life goes on. The Grand Caravan has got limitations. It's a very old architecture," he said. Marchionne warned that the price increase between Pacifica and the models it replaced will be repeated as FCA continues to redesign its fleet. "This is going to happen with every architecture that we launch, because the level of technology that's in these cars is, by definition, more costly," Marchionne said. An information package distributed to Unifor members at Integram Seating in Windsor, Ont., during a ratification vote Nov. 7, 2016 said the plant will cease delivery of the Caravan seating to FCA’s Windsor assembly plant, where the van is assembled, in July 2019. Local 444 president Dino Chiodo told Automotive News Canada at the time that the memo likely pointed to the end of the Caravan's run.